Once again, the best part of this next recipe is that after you have made a batch of quinoa, the rest is no bake/aka easy!! You can do all of it in the Cuisinart. One dish-easy clean up-WIN!! Blend Almond Butter, Bananas, and dates. Add in quinoa and pulse a few more times, just to mix it all together. Take a heaping Tablespoon and form balls in your hand (mine were about 1.5 inches wide). 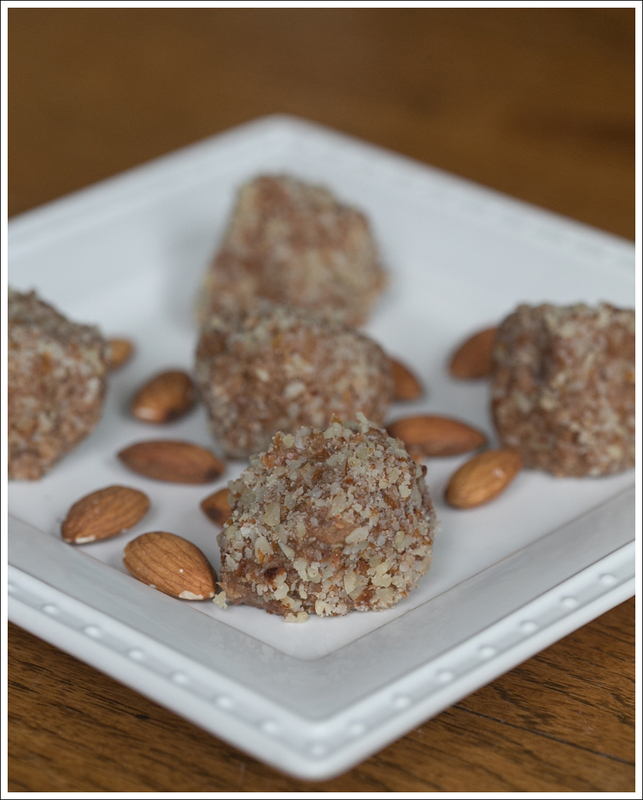 Roll in crushed almonds and place in the freezer. You can eat them frozen, but they are best after warming up a few minutes. 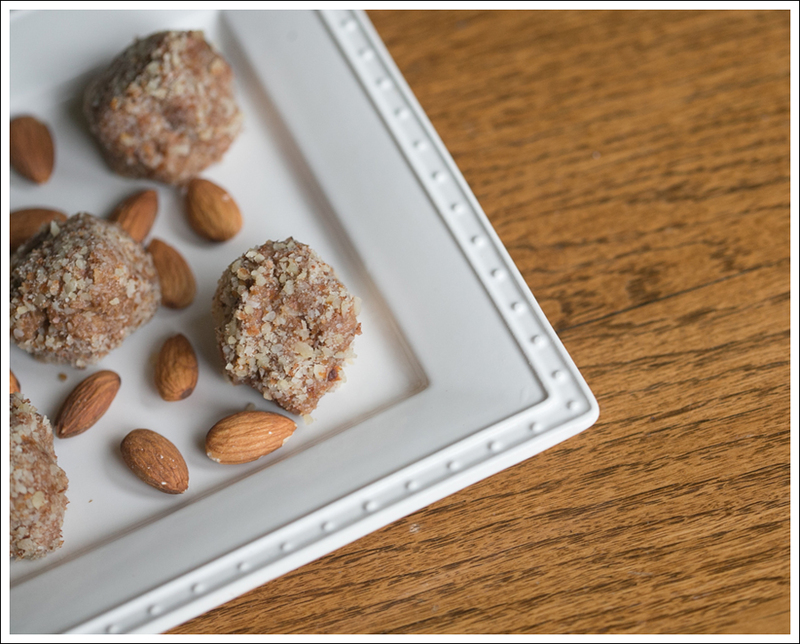 This entry was posted in Dairy and Soy Free, Food and tagged Almond Butter, almonds, dates, gluten-free, Healthy Dessert, Healthy Snack, No Bake, No Sugar Added, Quinoa on June 21, 2014 by laurenkahan. Love the simplicity of these! Such a fun idea to use quinoa too. Thanks for sharing!